Montemaggiore is a pretty hill village surrounded by mountains including the majestic Monte Gosso. 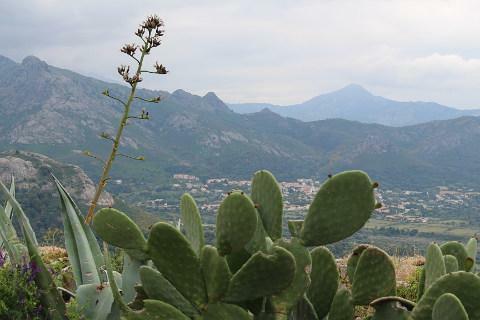 Montemaggiore is one of the villages in the Western Balagne area inland of Calvi. 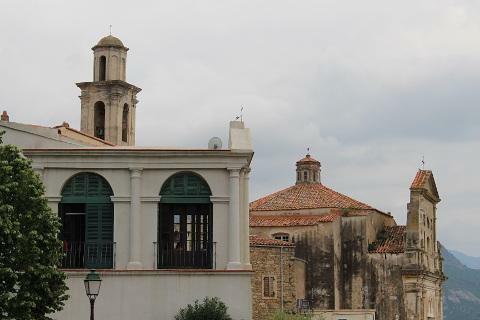 The village is an interesting mix of attractive stone houses and 2 or 3 large monuments including the large Baroque church of Saint Augustin which dates back to 1700. A walk through the village leads gradually uphill. In the main square there is a bar restaurant, a pleasant place to sit and relax despite the slight air of delapidation of the surrounding buildings. 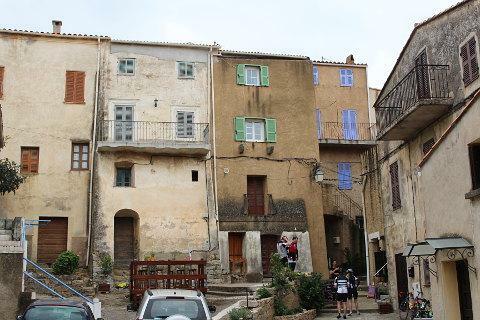 Carry on uphill and you come to a plateau at the top of the village with a couple of quite interesting looking modern buildings and 360° views over the surrounding countryside and the village below. 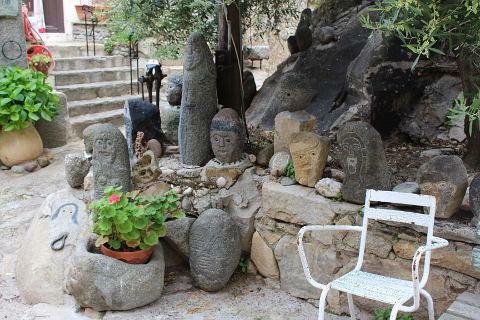 Montemaggiore is surrounded by olive groves and olive oil is very important to the economy of the village. 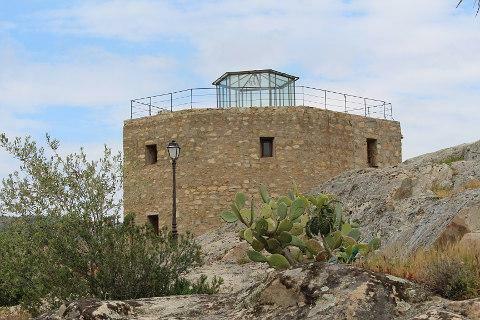 You can visit an olive mill on the edge of the village or visit in July when there is the annual olive fair, the Fiera di l'Alivu. Another good time to visit Montemaggiore is during the religious celebrations the 28 August when the statue of Saint Augustin is paraded through the village by the brothers of the local religious order. Montemaggiore is the birth place of the mother of Don Juan who lived in Casa Colonna d'Anfiani a house which still stands in the village. 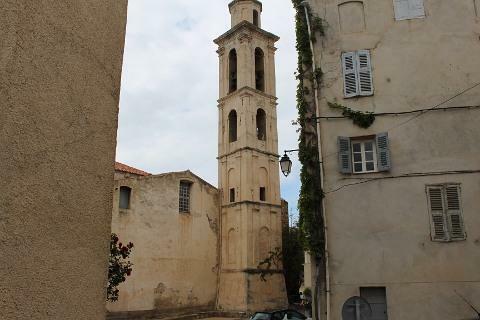 His father was from Calvi. Don Juan seduced and discarded many women in Seville and came to Montemaggiore to seduce his own sister, illegitemate daughter of his father. Just as she was about to give in to his charms he told her she was his sister and she screamed and he was driven away. Back in Seville he continued his debased lifestyle until dreams warned of his upcoming death. At which he repented and dedicated himself to the poor. 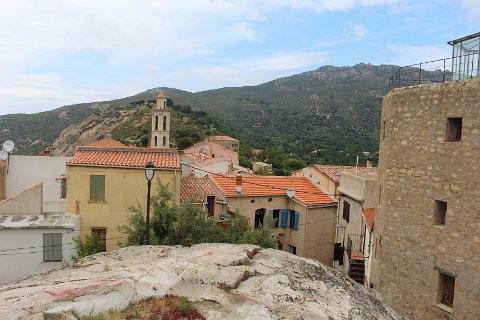 There are a lot of pretty villages in the Balagne region of Corsica and you can pass a pleasant day or two driving through the mountain scenery and stopping at various villages along the way. 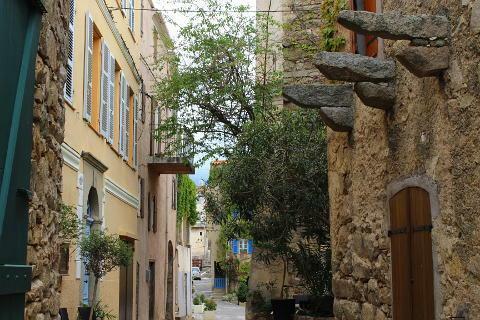 Particularly noteworthy is Sant'Antonino which is a "most beautiful village" of France. 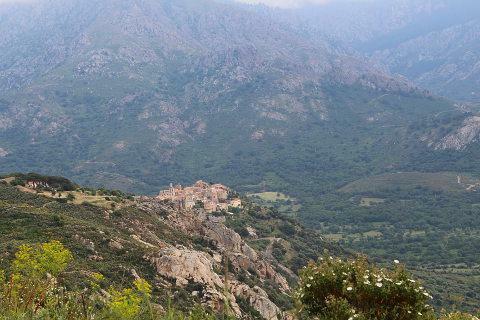 A drive round Corbara, Pigna and Aregno highlights some pretty scenery as well as these quiet villages.